We might turn to a love psychic when we’ve just met someone new and we are wondering if the relationship will become serious. Or we might seek out a love reading when we feel stuck in a relationship and are unsure of whether to stay or go. Or maybe someone has left us and we wonder if they’ll come back to us. Love is a very intense and complex thing and a relationship psychic can help shed light on the energies surrounding ourselves and our partner and can help us make decisions that are best for our future. 1 What is a love psychic? 2 When should you get a love reading? Just like any psychic, a love psychic reads the energies surrounding a situation and gives us insights from beyond the five senses. Whether by using the ‘clairs,’ divination tools, or energy balancing and healing, a love psychic can use the powers of extra-sensory perception and interpretation to help us make the best decisions specifically around relationships. 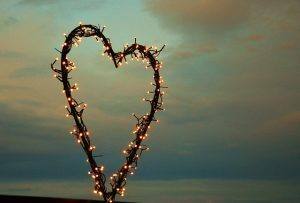 Love psychics are empathic and particularly attuned to the energies between intimate parties. Sometimes we might be wondering what our partner is really feeling, or we might feel uneasy about a situation. A love psychic can help shed light on these mysteries. Or maybe we are facing a big decision like a marriage or a break-up and want to be sure we are choosing the right path. Love psychics are particularly intuitive to feelings of love and other personal emotions. They can be especially helpful to people who might be feeling lost about their love life. They can feel your energy and the chemistry between you and your lover’s energy. When we are spinning and falling in love we often don’t see things as clearly as we should. A love psychic can get a bird’s eye view of your relationship and see what challenges or benefits might be in store for you. Then they can give you support and advice so that you feel confident about your decisions. 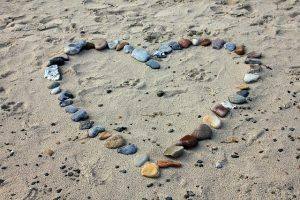 Love can be a very mysterious thing, but you can find some clarity with the help of a love psychic. When should you get a love reading? Love psychics can help you at any point in your relationship. Whether its just beginning and you want to know more about your potential lover, or whether you are thinking to part ways, love readings can light the path for you. A relationship psychic can even be useful in times when things are great. Maybe you want to know how to make your partner happier, or how to help them thrive in the relationship. Or maybe you are looking to bring the partnership to the next level. All of these things can be addressed in a psychic love reading. Love psychics often work on ‘blockages’ in a relationship. Is your partner holding back? Does it seem they cannot fully connect even though they say they want to? They may be experiencing a blockage. Or maybe you notice this tendency in yourself. 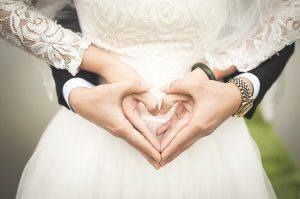 A love psychic can read into old patterns of behavior that might be influencing your current relationship, or even energies from past lives that could be affecting your current partnership. They can advise you on how to develop a healthy approach to a new relationship and come out of old negative patterns. They can also help you to move on and let go of a relationship that is no longer viable. Love mediums can even communicate with a loved one that has passed on to the other side. Maybe you can’t stop your obsessive thoughts about someone and need help finding peace of mind. A love psychic can give you the answers you need to put your mind at ease, and some can even do energetic healing to balance your chakras and reduce your anxiety. Love is a very fluid thing. Sometimes our feelings suddenly change and we can’t seem to figure out why. Love relationships don’t just come into our lives to fill a hole. When people enter our lives with intense emotion, they are usually there to teach us a powerful lesson about ourselves. It’s not just about the other person and if they are right for you. We also have to learn to grow as people and begin to recognize the patterns and beliefs that we have and might be unaware of. Otherwise, we will continue to attract the same kinds of people into our lives until the lesson is learned. A good relationship psychic will be able to tell you what soul lessons you need to learn in this life, and how your current or prospective partner might be there to teach you exactly that. When we have negativity in our relationships it is important to look at ourselves within the context of that relationship. Are you anxious or fearful? Do you think knowing what will happen will help you to feel calm? The reality is that calm comes from within. It comes from connecting with our own inner power. When we exude calm and security, we will attract the same in a partner. What is beautiful about that is it means you have control over your own life and future! You are not at the mercy of someone else, waiting for them to hopefully give you what you need. In reality, when we focus on fixing our own blocks and harmful patterns, we will open the door to attracting healthy, well-balanced love. An experienced relationship psychic can help you to understand what energies are at play and what you can do to bring true joy and happiness into your relationship. If you want to find true love, you must first know what love really is. We imagine the prince and the princess living happily ever after, but love is so much more complex than that. The following seven laws of love can help you to become the kind of person that is ready for true love. Are you ready? Every person that comes into our lives is there in order to help us to evolve. Relationships are like mirrors, and sometimes the negative things that people bring into our lives teach us the greatest lessons. That is not to say you deserve to be treated badly or that it is good for people to be disrespectful or rude. But if someone is constantly pushing your buttons, maybe the lesson for you to learn is how to gently hold your boundaries. It is a journey to sort out the difference between soul mates, past life relationships, and addictive partnerships. By loving yourself and seeing others as a mirror of yourself and what you need to learn, you will grow into a person ready for true love. Don’t forget that all of us are connected. We don’t live in separate little bubbles and what is happening to someone else is deeply connected to your own journey. Everyone has their own unique physical and spiritual being and our purpose in this life is to express our unique story. That means we get to decide what we want in life, what makes us happy, and what we look for in a relationship. But remember, that’s a two-way street. Don’t hold others to your standards and respect their unique was of seeing the world. Our relationships are mirrors of our internal world. Be aware of what is triggering you when you have conflicts with others. These are the challenges that will help us to grow into the best version of ourselves. Love begins with loving yourself! We have to be whole and happy on our own before we can offer a healthy relationship to another person. Rather than looking for someone to ‘complete you,’ look for someone to walk through life with you. You have to give love away to feel love. Being in love isn’t about receiving, it’s about sharing. 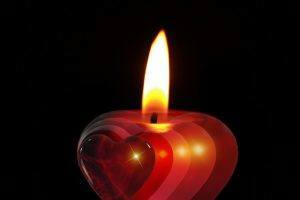 The only way we can do that is by sending out love from our hearts and connecting it to someone else’s love center. Our relationships mirror our psychic energy. Once we manage our psychic energy in a healthy way, we will no longer give that energy away to toxic situations. When we protect our inner psychic self and are true to what brings love into our lives, we no longer stick around in bad situations. Past life relationships: The most intense relationships we have with others are often past life patterns returning to us. Life brings us the same lessons over and over until we evolve and learn them. Sometimes we don’t finish our work in one lifetime and it comes back to us again in the next. Sometimes this past life energy can bring two people together that would normally never be compatible. These connections can be super chaotic and typically teach us to value ourselves. With extreme ups and downs, joy and suffering, these are addictive relationships and are not built on unconditional love. Look at yourself instead of them. You can waste years trying to understand why they did what they did. Rather, ask yourself what you think you deserve and move on from there. Make lemonade out of lemons: One of the hardest things about leaving a toxic relationship, especially a long one, is feeling like all of the energy we have put into it to try to fix things suddenly becomes a waste of time if we leave. It feels like a failure. But you need to shift your perspective. Any relationship we go through, bad or good, is a learning and growing experience. Life is a journey, not a destination. Leave your pain in the past. You can forgive (without forgetting) in order to relieve yourself of your own suffering. Leave the pain with their memory where it belongs – away from today. Forgive yourself. Nobody asks to be abused and nobody deserves it. Give yourself the kindness and understanding that will allow you to forgive yourself and move forward. Its okay if you still love them, just don’t be with them. If toxic relationships were all bad it would be easy to leave! What makes it hard is that we don’t want to let go of the good stuff. Remember – there is no good stuff without the bad, and this is not a healthy relationship. Love yourself and remember who you are. Toxic relationships can leave us feeling broken. But the only way you can be respected is by respecting yourself. Love yourself and have the confidence to step forward. Love yourself as much as you loved them. Give yourself the same devotion, patience, and understanding. Does this seem like an awful lot? Maybe you already know its true but you need some guidance and support to make it happen. This is where a love psychic can really help you. They can see through the energies and tell you exactly where you are stuck and why. Then give you the exact advice that you need to take that step forward. 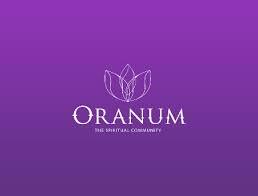 Oranum – has a great live stream on their site where you can get to know how your psychic works before making a commitment. This is a great way to check that you like the energy of your psychic before you start. Keen – offers readings by phone and online chat, and has a lot of filters on their site so that you can search for psychics by specialty. And they offer a 10 minute reading for just $1.99 for new customers! AskNow – offers $1 per minute readings, so its a great way to get started without breaking the bank or risking too much! Psychic Source – is one of the highest rated networks and allows you to filter through psychics by expertise, reading style and all kind of other attributes. And their online chat is fantastic. Kasamba – offers great email psychic readings as well as readings by phone, etc. Their first 3 minutes are free for new customers and you can even get 50% off of your first full reading! Good luck with your journey and comment back to let us know how your reading went!